This week, the FDA approved the first 3D printed pill. 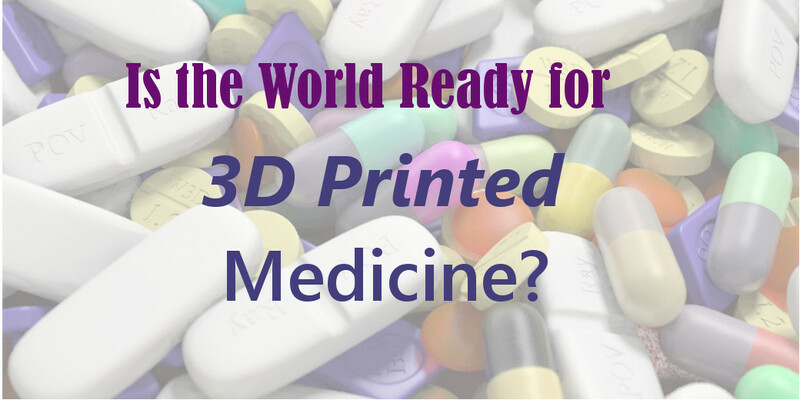 While the medical community has long dreamed of the potential of 3D printed pharmaceuticals, and there have been multiple 3D printed medical devices already approved, this decision marks the first time that a pill will be officially manufactured on a printer. Developed by Ohio-based pharmaceutical company Aprecia, the drug in question, Spirtam Levetiracetam, is designed to control seizures. Although there are already similar drugs on the market, the unique design of the 3D pill provides for a more effective delivery system. The primary benefit of a 3D printed pill is simply that the nature of the print causes the medicine to dissolve quickly. Aprecia’s trademarked technology, which is known as ZipDose, creates a more porous pill. Once liquid enters the equation, the pill quickly dissolves away. This makes the pill much easier to swallow, especially in high doses. Another reason that the potential for 3D printed medicine is so exciting is the ability to have minute control over the dosage. This allows pharmacists to customize the doses for each individual based upon their unique needs. While Spirtam Levetiracetam is only available in one shape, another potential benefit of printing 3D pills is that the medication could be produced in a wide array of shapes that aren’t possible with traditional medical manufacturing methods. As research has shown that the shape of a pill can determine how the medication is released, having greater control over the shape of the pill itself gives doctors greater control over how the patient receives his or her medication. The FDA’s decision to allow this medication marks an exciting milestone for both the medical community and the future potential of 3D printing applications. Today it’s a 3D printed pill at the pharmacy, tomorrow it just may be a Chemputer that allows you to print your own medicine at home. If you would like to learn more about the exciting world of 3D printing and design, contact us at Spectra3D Technologies.